These days, weekend revelry actually starts on a Friday evening. After enjoying the first evening of the weekend, often on a Saturday morning one gets an urge of continuing the celebrations through the lovely Saturday afternoon. For this, Komatose has now come up with this concept called Saturday “Drunch”, a special menu with unlimited drinks only in the afternoon. 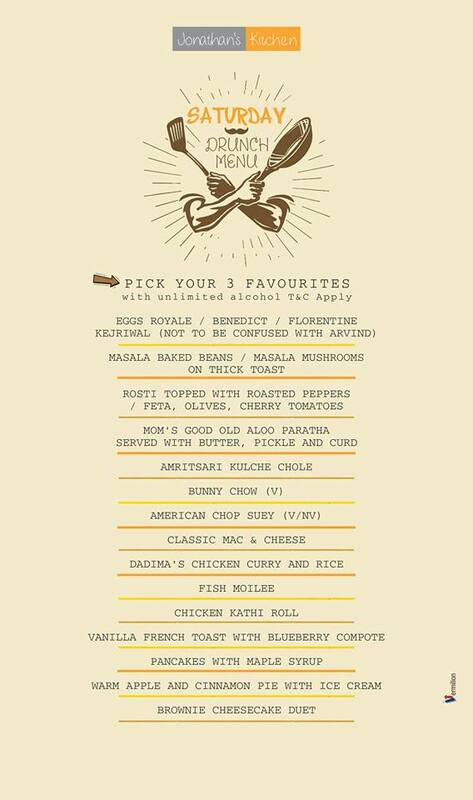 The drunch (brunch with drinks) is on from 11 am to 4 pm and comes at a price tag of Rs 899. As part of this offer one gets to choose three from the fifteen signature items from the special menu. 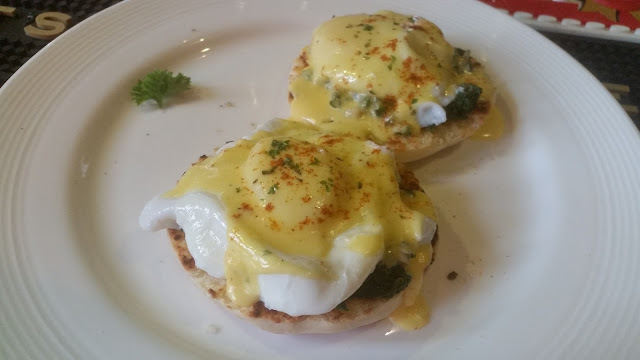 At a preview of the Drunch, I walked in to find most of my friends had already started with egg dishes – Egg Benedict, Florentine or Royale. The well-known preparations, with poached eggs on muffins and bacon, chicken fish or spinach, are usually a treat to look at, and here in Komatose the styling was excellent as usual. I scooped up some Benedict and Florentine from the plates of two different people and they were a good start to the day. 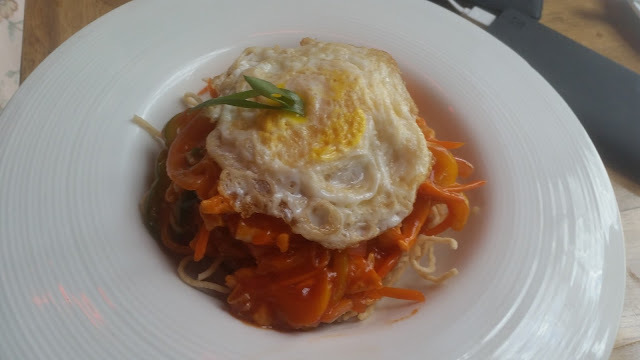 In my opinion, most people will prefer this egg dish from the menu to start the drunch. 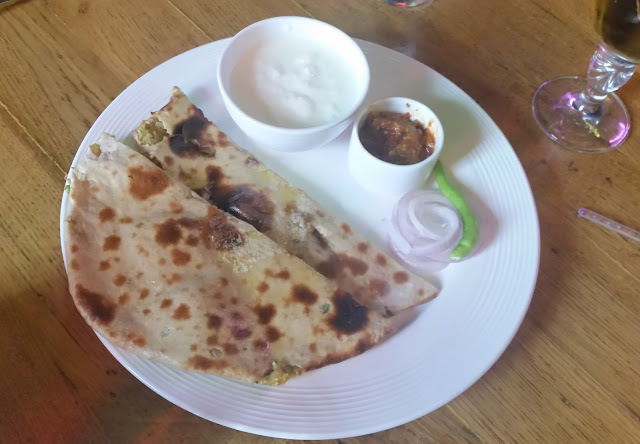 If you are not an egg lover, you may look at the good old Aloo Paratha, the favourite breakfast of North India. Served with butter, pickle and curd this combo used to be my staple during my student days in Banaras. The potato filling here was adequate while taking care that the paratha does not get broken up. 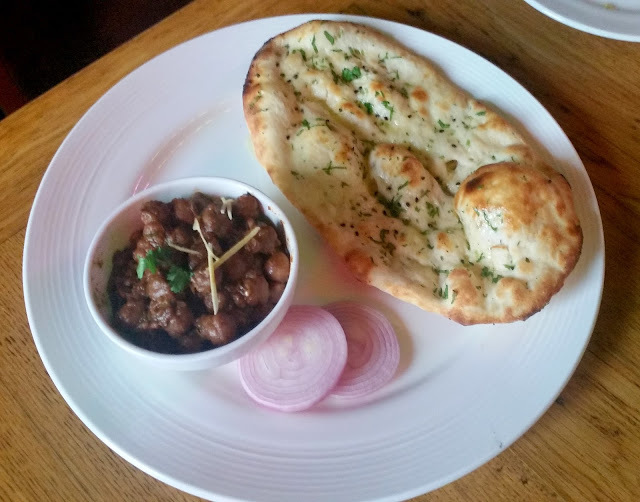 Recently at a dhaba food fest in Sheraton, I have had some great Chhole Kulche. The combo here at Komatose, especially the chhole was no less a star. The Chicken Kathi Roll originally from Kolkata is rocking as a street food all over the country. 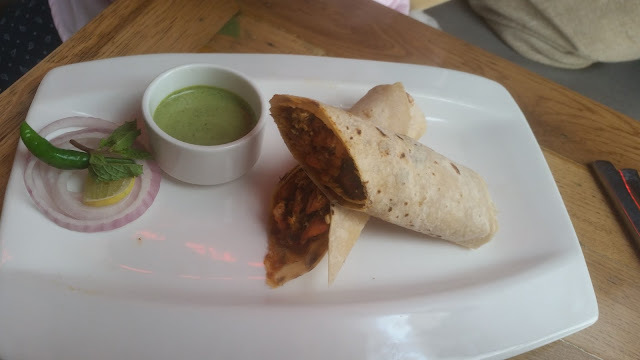 At Komatose, the kathi roll on offer was with quite a thick filling, albeit a little up on salt. Also a little bit of moistness in the stuffing would have made it better. 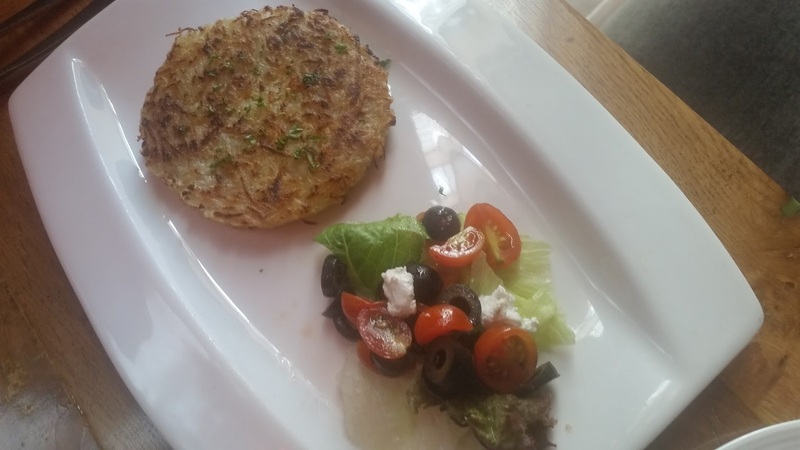 The menu also showcases Rosti, a potato dish from Switzerland. Served with cherry tomatoes, olives and feta cheese, I found this an interesting item. A good one to start the day, especially if you are averse to eggs. 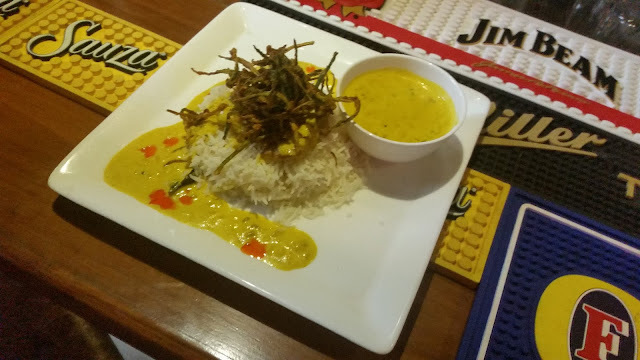 The star of the afternoon was the Fish Moilee. Styled well with crispy bhindi, and served with rice, the coconut based curry was simply divine. For me the best dish of the day, it was as good as you find in best Malayali restaurants. Dadima’s Chicken Curry was a simple preparation. 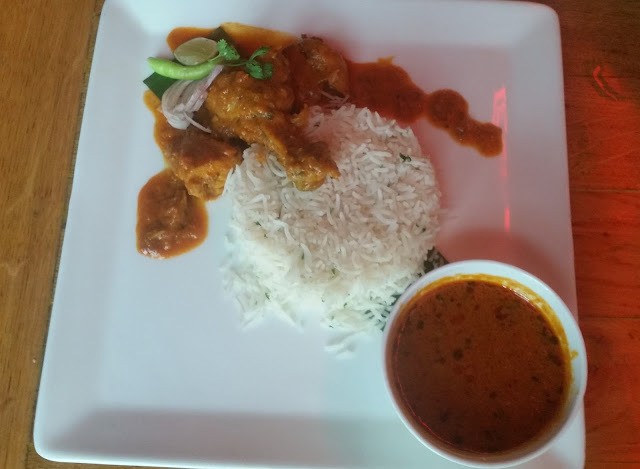 Here again the gravy with simple spices and flavours went perfectly with rice. 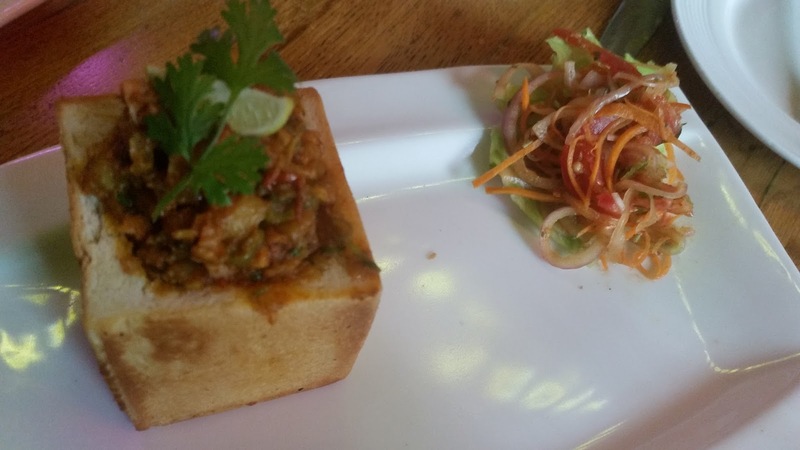 Bunny Chow the hollowed out loaf filled with vegetable masala is a South African lunch dish, first prepared by the migrant Indian labourers there few centuries ago. The masala in the curry tasted very close to Pav Bhaji masala. We later tried a kheema version later, which I found much better. There was also American Chop Suey and Mac N Cheese in the menu. The chop suey was a trifle too tangy for my taste buds. 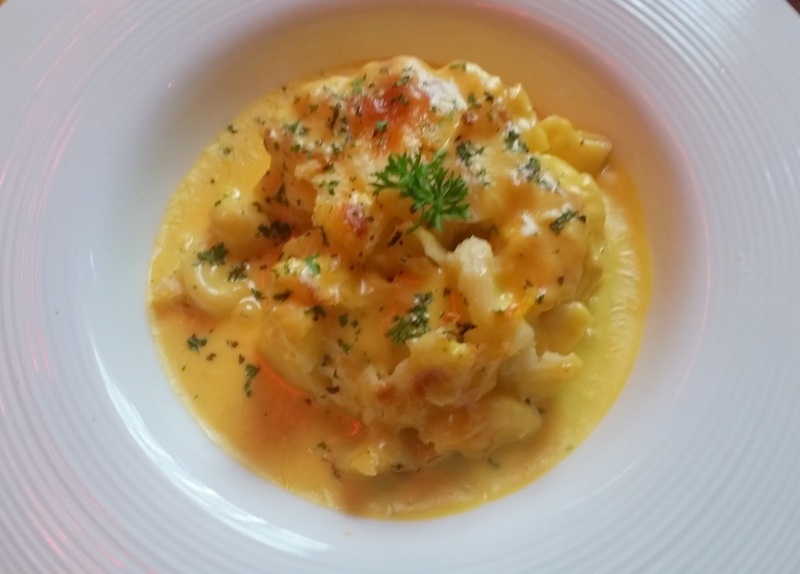 A bit more cheese in the Mac N Cheese would have made the dish tastier. There were four desserts among the fifteen items. I am not much of a dessert lover, and just had a small portion of some of these. 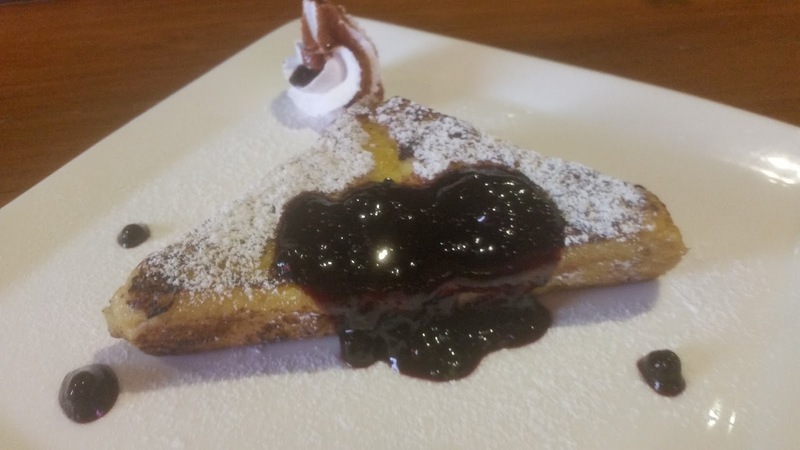 I liked the Brownie Cheesecake duet and the Vanilla Cheese Toast with Blueberry Compote. In our group though, opinions varied on which dessert was the best. The place makes some awesome cocktails too, my favorites here being the chilly infused vodka drink Lust as well as the traditional Whisky Sour. You can read about drinks at Komatose in an earlier post. Overall, a very interesting offering with a super price. The concept is novel and I am sure it will find many takers. However Hyderabadis being masters at replicating, a successful idea gets copied in no time. Komatose has been a success story so far, and I trust them to tweak the menu from time to time to stay ahead of competition. Study the menu well, choose the three favourites carefully based on your palate, and you are ready to enjoy the Saturday afternoon. Drunch Timings: Every Saturday 11 am to 4 pm.